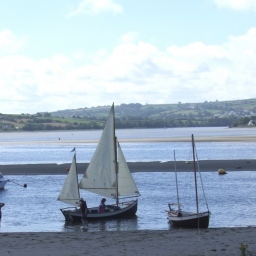 This summer again sees the Teifi Boat Club here in West Wales host a Dayboat Rally 29th-30th June. The event is kindly organised by Gareth Rowlands, owner of one of our boats, and is run as part of the Drascombe Association programme of events. As always, all dayboats are very welcome to join this event which usually proves to be a pleasant and sociable occasion. If you know of anyone else who might be interested, do please pass this on. Once again we are to be the guests of the Teifi Boating Club.